Eventually, he decided that there was “something wrong with this picture,” and began to explore his motivations for and the origins of his beliefs. 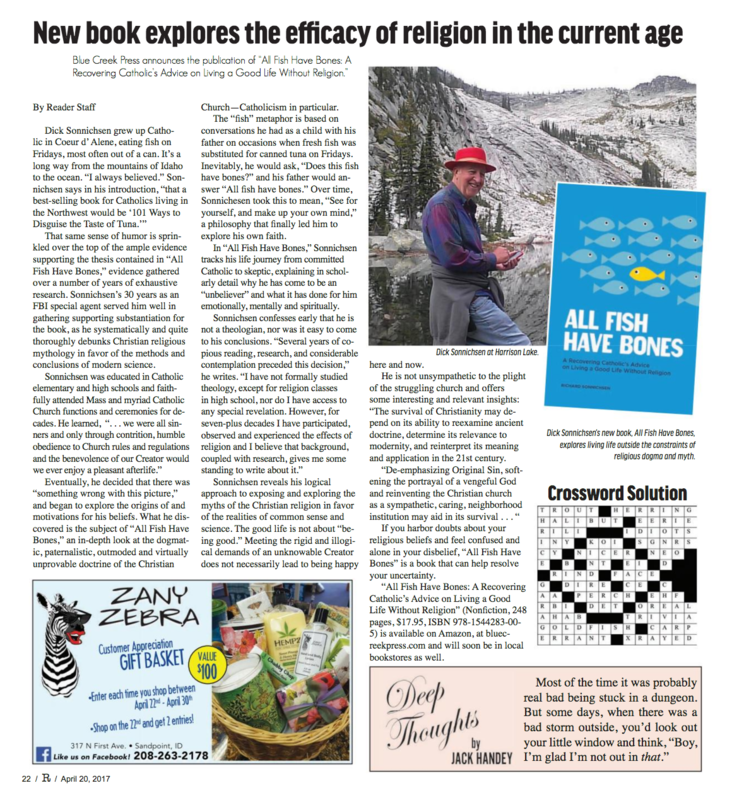 What he discovered is the subject of All Fish Have Bones — an in-depth look at the dogmatic, patricentric, outmoded and virtually unprovable doctrine of the Christian Church, and Catholicism in particular. In All Fish Have Bones, Sonnichsen tracks his life journey from committed Catholic to skeptic, explaining in detail why he has come to be an “unbeliever” along the way and what it has done for him emotionally, mentally, and spiritually. Sonnichsen reveals his logical approach to debunking the myths of religions — Christianity in particular — in favor of the realities of common sense and science. During his childhood, on occasions fresh fish was substituted for canned tuna on Fridays. Inevitably, he would ask, “Does this fish have bones?” and his father would answer “All fish have bones.” Over time, Sonnichesen took this to mean, “See for yourself, and make up your own mind,” a philosophy that finally led him to explore his own faith. 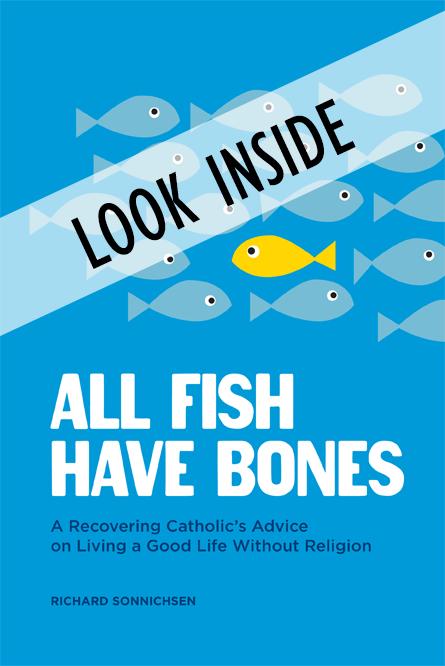 If you harbor doubts about your religious beliefs and feel confused and alone in your disbelief, All Fish Have Bones is a book that can help resolve your uncertainty.